I love a good sandwich and sometimes it's fun to have sandwiches for dinner. 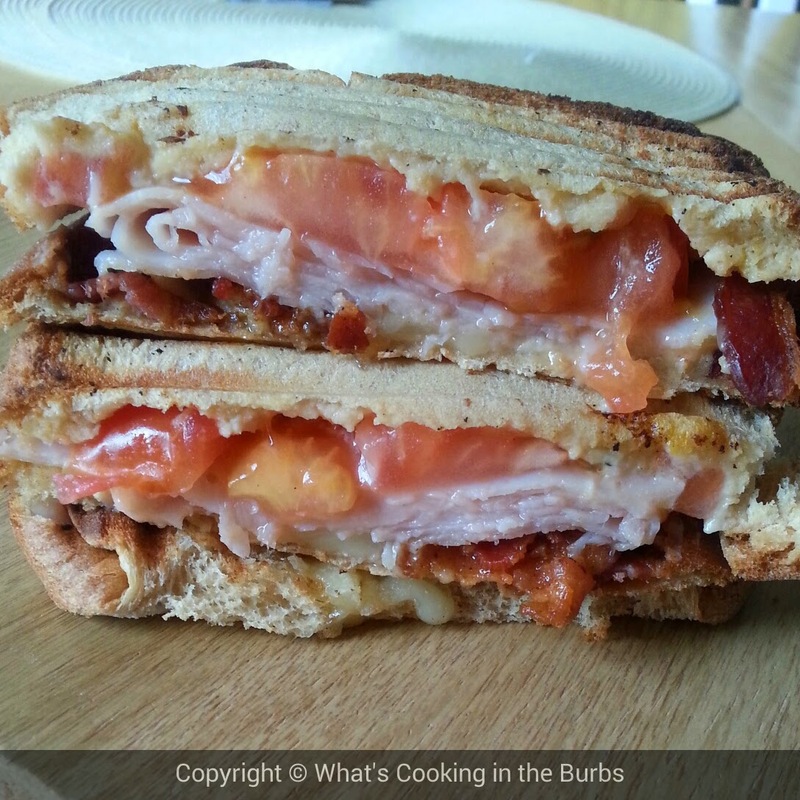 Club sandwiches are a favorite in my house and I thought why not mix it up and create a Turkey Ranch Club Melt. They are really easy to prepare and delicious! Arrange sandwiches by spreading 1 tbsp. ranch on bread and top with turkey, bacon, cheese, and tomato. Using a panini press or griddle heat sandwich about 2-3 minutes per side or until bread is toasted and cheese is melted. Enjoy! This turkey club sounds fantastic. Thanks for sharing at Simple Supper Tuesday.